The Medal of Honor of the ARKBK CLBG is the highest decoration awarded by the President of the ARKBK CLBG. It is bestowed on members of the ARKBK CLBG or individuals who distinguish themselves "outstanding achievements and contributions to the Kingdom Bunyoro-Kitara and the ARKBK CLBG". The Medal of Honor of the ARKBK CLBG is the only one ARKBK CLBG neck order award issued by the ARKBK CLBG. The decision to award the Medal of Honor of the ARKBK CLBG is the only and sole decision of the President of ARKBK CLBG. The final award of the Medal of Honor of the ARKBK CLBG will be discussed between the King and the President of ARKBK CLBG. 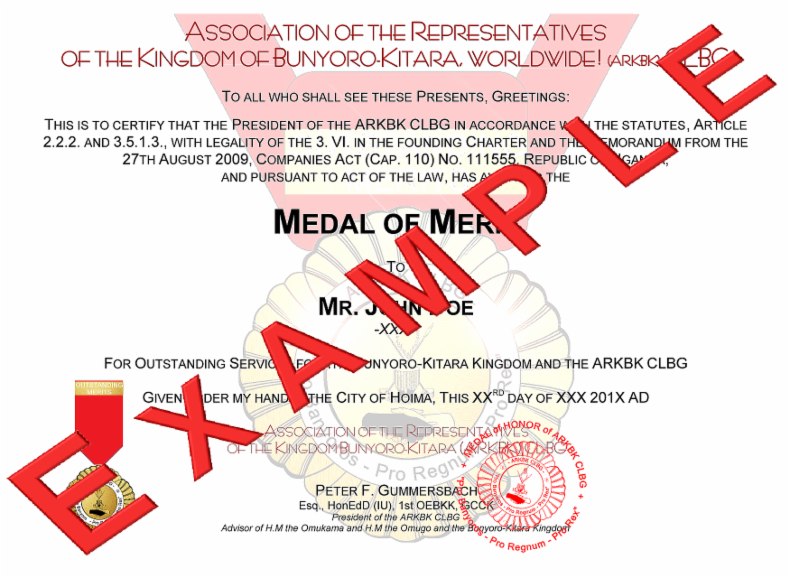 The President of the ARKBK CLBG awards the Medal of Honor of the ARKBK CLBG to the members of the ARKBK CLBG or individuals who, distinguishes himself or herself conspicuously, for the Kingdom Bunyoro-Kitara or the ARKBK CLBG. 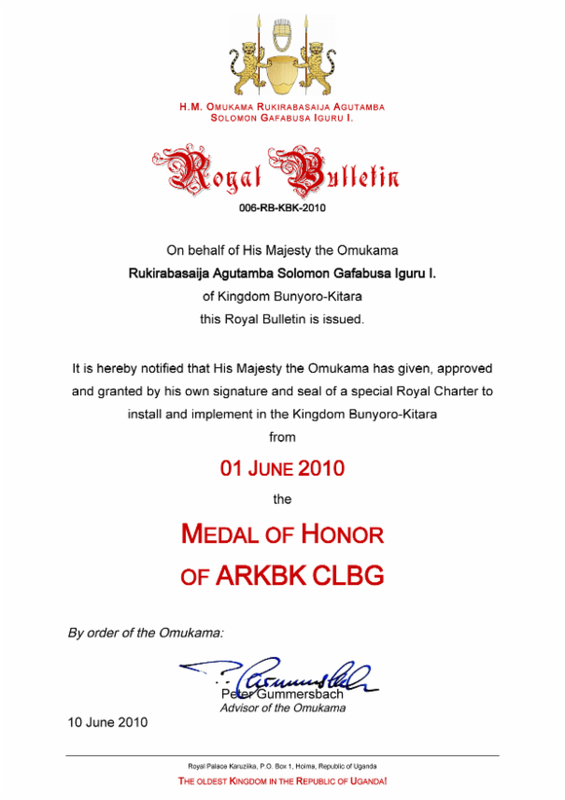 The act justifying award of the Medal of Honor of ARKBK CLBG must be performed while outstanding achievements and contributions to the Kingdom and the ARKBK CLBG. Incontestable proof of the act will be required and each recommendation for the Medal of Honor of ARKBK CLBG is considered on the standard of extraordinary merit.